Now showing in cinemas islandwide, the new Huat Films production – “3 Peas In A Pod” follows three university friends from Singapore, Taiwan and Korea as they embark on a life-changing road trip across Australia in a classic Rolls-Royce before they part ways following their college graduation. This film is produced and directed by Michelle Chong (also director of another Singaporean film “Already Famous”) and it stars K-Pop star Alexander Lee Eusebio, Taiwan boyband Fahrenheit member Calvin Chen and Jae Liew. Think road trip movies and most (ok, some depending on when you are born J) would associate them with slapstick comedy movies such as the National Lampoon vacation series but “3 Peas in A Pod” is nothing like that – it is more a mix of drama and romantic-comedy. Besides the acting and storyline, the film boasts quite a few scenes of Australia’s natural beauty in particular South Australia’s Kangaroo Island! Check out the “3 Peas in A Pod” video trailer below for highlights of Kangaroo Island’s beautiful scenery i.e. Seal Bay and Remarkable Rocks! Kangaroo Island is a short ferry ride away from Adelaide (Adelaide itself being named recently by Lonely Planet as one of the world’s top cities to visit in 2014!). 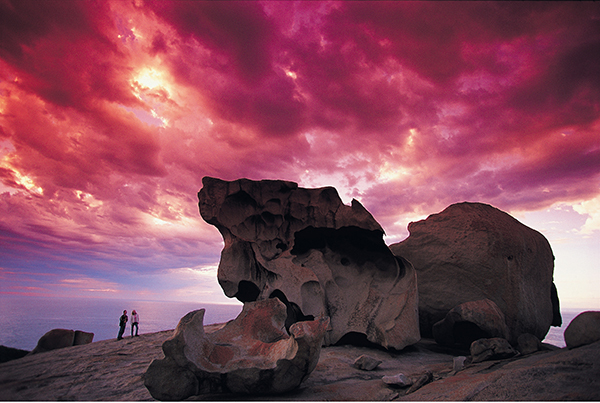 Massing seven times the size of Singapore, Kangaroo Island offers diverse landscapes, environment with stunning beaches, amazing native wildlife, desert dune and endless scenic treasures – it is no wonder that Kangaroo Island is one of Australia’s National Landscapes! 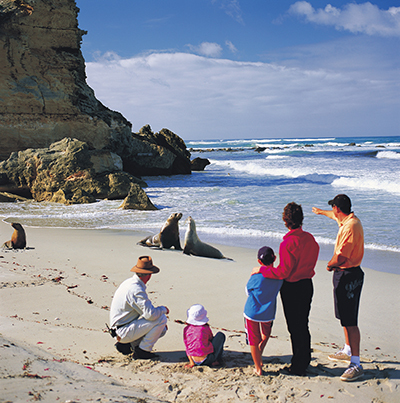 The Seal Bay is one of the most iconic site of Kangaroo Island – you might have seen pictures of tourists walking along a coast of 600 Australian sea lions and witnessing these playful sea lions up close. The Remarkable Rocks and Admiral Arch are natural rock formations which provides a spectacular photo backdrop at any time of day and they are indeed remarkable as the name suggests! 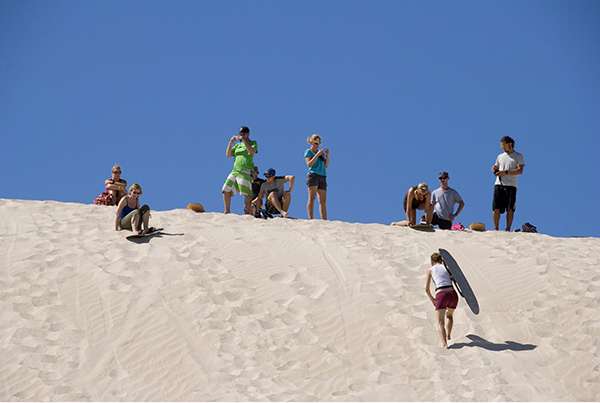 If you love adventure – then you must try sandboarding down Little Sahara’s vast white sand dunes or you can discover the vast wilderness of the island on a quad bike! 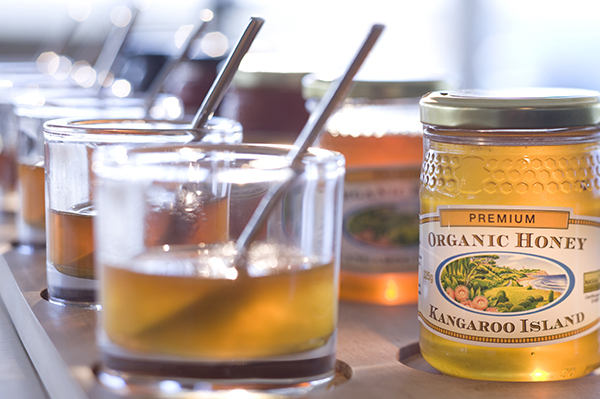 Or just enjoy Kangaroo Island’s local produce e.g. tasting honey from a pure strain of Ligurian bee (Kangaroo Island has the only known colony of pure Lingurian bee in the world! ), picking and eating your own marron (freshwater crayfish) or trying regional cheeses and yoghurts! What’s amazing is that all of the above experiences can already be found in just one South Australia destination – Kangaroo Island; there is more to explore at Fleurieu Peninsula and Adelaide! If you enjoyed “3 Peas in a Pod” and wanted to explore some of the sights along their road trip, perhaps now is the time to start planning your own road trip around South Australia. Thankfully, there are already a number of suggested self-drive itineraries available at South Australia Tourism Commission’s website – of which the Kangaroo Island 4-Day Itinerary and Adelaide to Melbourne 5-Day Itinerary will allow you to mirror the road trip taken by the “3 Peas in a Pod” cast (albeit in a opposite direction for the Great Ocean Road drive). *Hint* You can find all the answers in this blog post.